If those stubborn extra pounds aren’t shifting or your PMS symptoms need some help then these simple and delicious recipes will help you to optimum health. 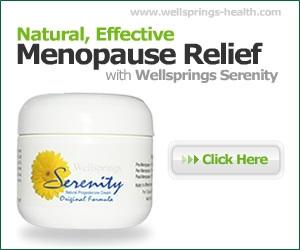 That menopausal middle is a subject close to many women’s hearts or rather how to get rid of it certainly is. The fluid retention due to oestrogen dominance is rebalanced and helped by bioidentical natural progesterone, but for many women there are also other factors at play and diet is certainly one of them. One very important element in particular is the unseen food allergies that we just have learned to live with. 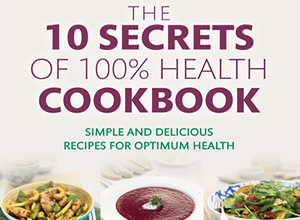 I recently reviewed Patrick Holford’s groundbreaking new book 10 Secrets of Healthy Ageing and if you are still wondering how to convert that into delicious everyday meals I have the answer – or rather he does. If you want a simple guide that makes life easy by giving you a sample weekly menu plan and the 10 food rules for 100 per cent health, then look no further. From breakfast to dinner, and everything in between, there is plenty for every preference from meat eaters to vegans and some some healthy sweet treats. To give you a taster, one day’s menu plan would give you a salmon and asparagus omelet for breakfast for plenty of B vitamins, fibre and omega 3 and you can substitute wilted spinach and sun-dried tomatoes, or stir-fried shiitake mushrooms as your filling instead. When lunch beckons you could have pine nut and feta Salad with olives and serve with oat cakes or corn bread. You won’t go hungry and at dinner you can feast on Thai chicken and cashew stir fry with brown basmati rice or soba (buckwheat) noodles, and some stir-fried greens with Oyster Sauce. This is a very clear, straightforward and simple way to get yourself to optimum health and my two favourite recipes? I can recommend the venison and chocolate stew and the chocolate espresso mousse – two dishes with one common ingredient but very different tastes! Wow, amazing weblog structure! How lengthy have you been running a blog for? you made blogging glance easy. The overall look of your website is wonderful, let alone the content material!